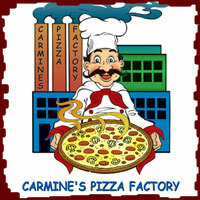 Carmine's Pizza Factory has been serving downtown Jersey City since September of 2000 and offer a full line of gourmet Pizza and Italian specialty dishes. 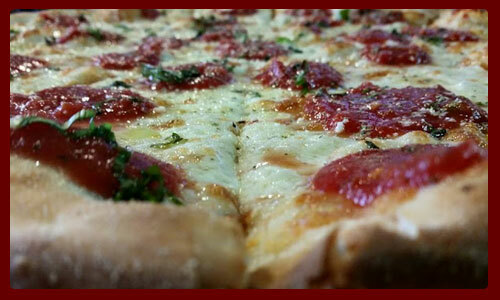 Delivery, Dine In and Carryout available. 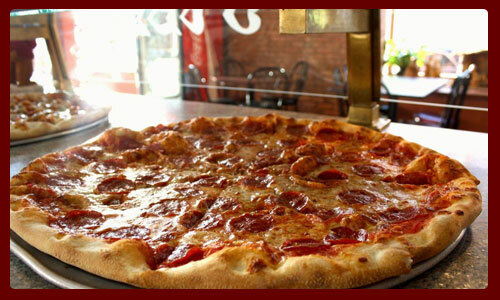 Carmine's Pizza Factory is a family owned pizza restaurant located at 366 8th St downtown Jersey City. 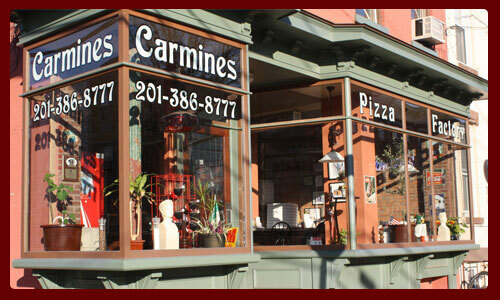 Carmine and his sister Mary are the owners, and their dad Angelo works each weekday making his famous homemade tomato sauce. 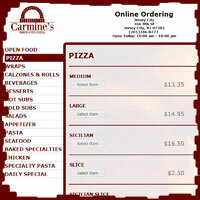 Carmine is a member of the World Pizza Champions, which is a team that travels a few times each year to compete in making the best pizza in the world. 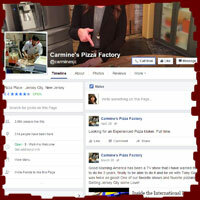 Carmine's travels have taken him to las vegas and Italy to name a few. Following in the family tradition; his sons Michael and Nicholas travel the country displaying their talent for acrobatic pizza dough tossing and have even been on multiple nationally televised tv shows like Good Morning America. 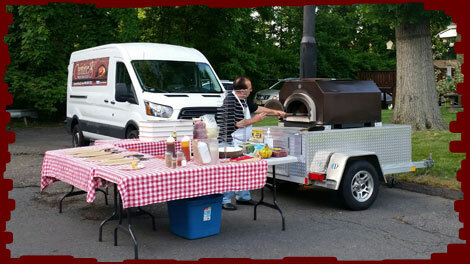 Quality catering service with style, Carmine's Pizza Factory does corporate and private events with a fully equiped mobile wood fired oven setup. 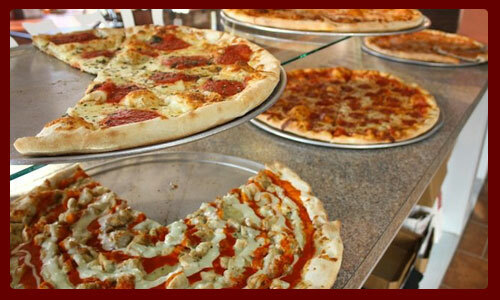 Carmine's Pizza Factory makes delicious 12 inch pizzas in our wood fired oven and are on site for 2 to 4 hours depending on the size of your event. 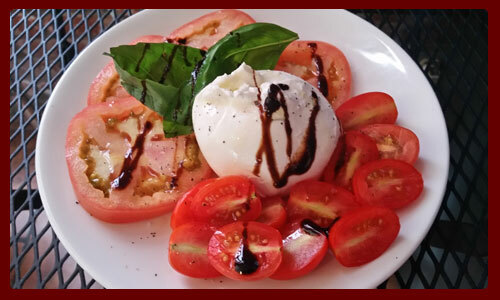 Our base fee is $900 which feeds up to 50 people with a small upcharge of 10$ per extra guest. We are based in New Jersey but we do travel to New York, Connecticut, and Pennsylvania. We make a variety of gourmet brick oven pizzas including Cheese, Pepperoni, Veggie, 4 Cheese, Buffalo Chicken, BBQ Chicken, Prosciutto with baby arugula and a balsamic glaze, and Sausage & hot peppers with a Guinness beer sauce. 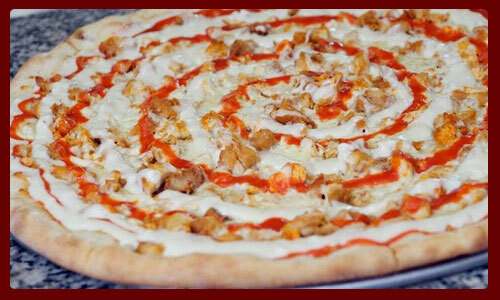 We offer Gluten Free and Vegan Selections upon request and we also offer Dessert pizzas with a small upcharge. 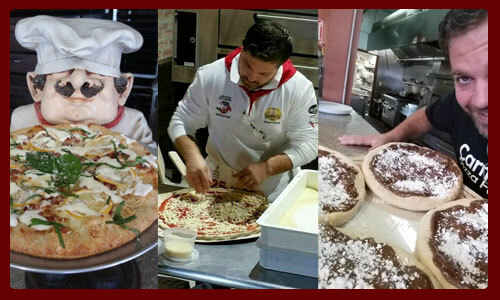 The desert pizza options include Nutella with Banana, Canolli Cream with berries, and Smores Pizza. With all of these great options there is practically no way your event won't be hit with your guests!